Busy Little Housewife: Probiotics are your friend! With cold and flu season just around the corner, I thought I might share some things that I do with my family to help prevent getting sick or help the symptoms to be manageable. I'm writing this because about three years ago my girls were getting sick all the time. It seemed like we were in the Dr's office way to much. I was getting so frustrated! My bff had been telling me about something called probiotics for a long time. Probiotics are "friendly germs" that help maintain the health of the intestinal tract and aid in digestion. They also keep potentially harmful organisms in the gut under control. They help boost the immune system. Probiotics can be taken as capsules, powders, yogurts, and in other food. One day I just gave in and thought I might give them a try. Once I did, my world changed! My girls were no longer getting sick. If they did get sick it was not a big deal at all. They would only be sick 2 to 3 days instead of 5 days. We went from going to the Dr's office quite frequently, to not at all. They have not gone to a sick visit in two and a half years. Our pediatrician is aware that we give this to our kids. She thinks it's great. Our whole family takes them, even our baby boy. We just put it in his bottle. It's safe for all ages. The girls call it their "powder". They know that it helps their bodies stay strong and healthy. We take them every day and take extra when we are sick or around someone that is sick. I get our probiotics at Akins natural food store. This is good stuff people! I hope you try it! 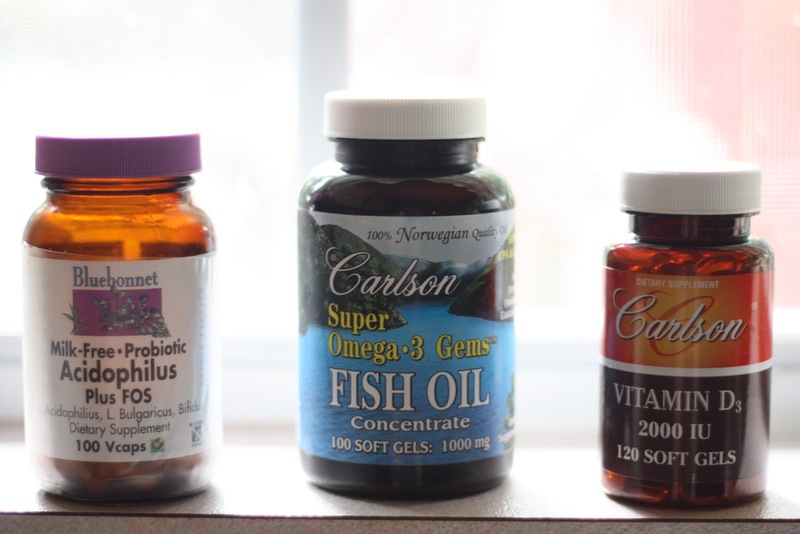 Another thing we use is Omega 3 fish oil. It is called "the miracle food of the 21st century". Research shows that the right kind can help prevent heart disease, maintain optimum blood pressure and cholesterol levels and give almost immediate relief from joint pain, migraines, depression, autoimmune disorders and improving brain development and memory functioning from conception to birth. Very good stuff! Vitamin D3 is amazing as well. It's called the "sunshine vitamin". If you think about it, we don't get as sick when we are around sunshine. When we are indoors and cooped up is when we usually get sick. Other benefits that vitamin D3 supports are the absorption of calcium for building strong bones and teeth, the maintenance of joint and muscle comfort, the support of breast, colon, and prostate health, as well as the maintenance of a healthy mood. We also take multivitamins daily too. This helps us get all our daily vitamins for the day. 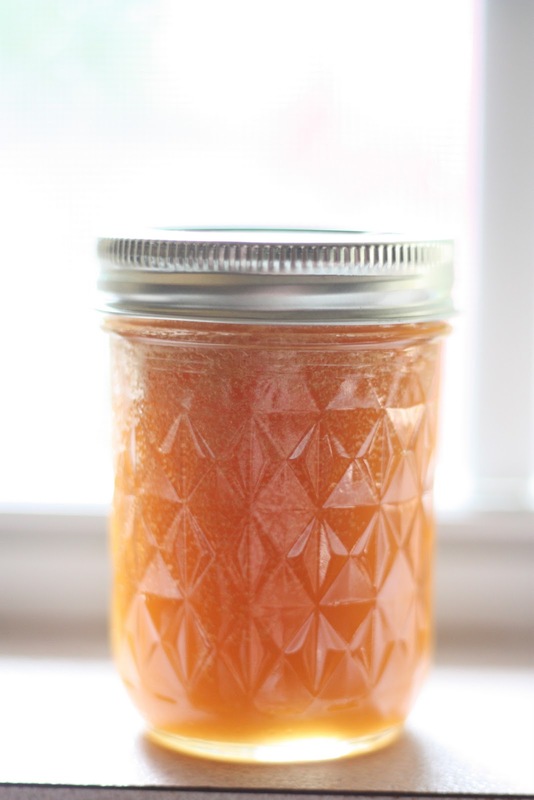 If you are having issues with your allergies, raw honey can help. Honey is a "powerful booster to the immune system". It's a naturally delicious alternative to white sugar. One daily spoonful in your tea or spread on you toast is all you need. You can also put it on cuts, burns and scrapes to help with the healing process. The antiseptic property of honey will clean wounds and inhibit bacterial growth. If you have a sore throat, you can also take a teaspoon and it helps your throat to feel better. Very, very cool stuff! The bible even tells you to eat honey. "My son, eat thou honey, because it is good; and the honeycomb, which is sweet to thy taste". Proverbs 24:13. If you want to learn more about these subjects, please refer to aspiringearthmama.blogspot.com for excellent information.